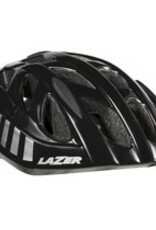 Offering great protection, style and comfort, the Lazer Motion helmet is a fantastic option for the rider that is just taking their first steps into cycling. It's perfect for cruising around town, or flying down small country roads. The In-Mold one piece construction protects the head from impacts, but is also developed with 19 vents to keep the head cool and comfortable. The perfect fit is achieved with the Lazer TSPLUS fit system. A dial at the back of the helmet controls a basket that secures a large part of back of the head. 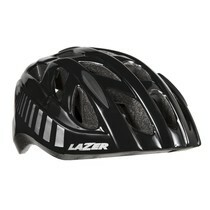 A quick turn of the dial assures a snug yet comfortable fit that keeps the helmet firmly in place. Adjust it on the fly and start your cycling adventures.